I took a tour through it and it is looking good. 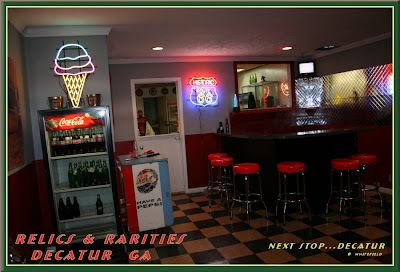 Ice cream shop looks great, looks like an old diner. Full story on this place coming soon with more pictures. 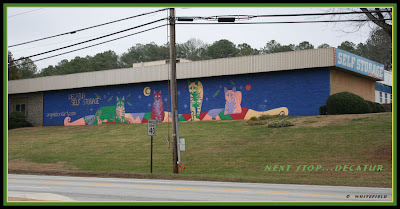 Decatur kids & adults will love this place. 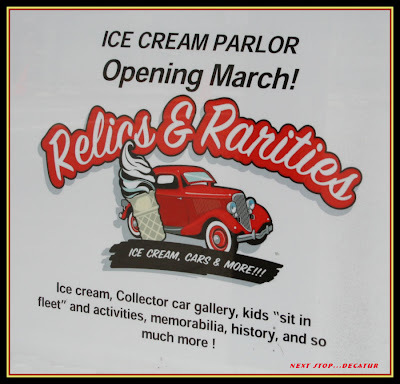 It's an old garage converted to a wonderful Ice Cream Parlor, that desires to be a museum.... 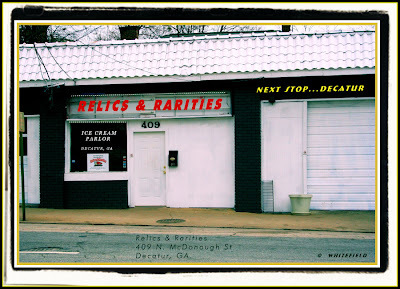 Simply put, it's Relics and Rarities. A unique place full of the weird and wonderful, from delicious ice cream to history to classic cars, and so much more. 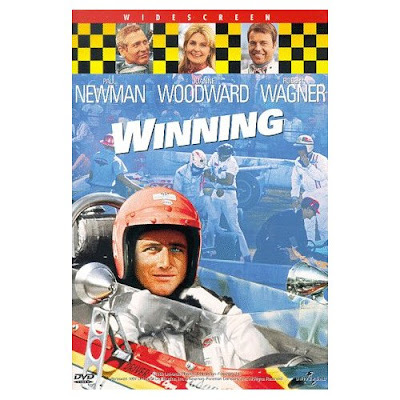 This is one of my favorite movies, Winning with Paul Newman & Robert Wagner. I loved the music soundtrack so much I bought it when the movie first came out and still have it today and listen to it all the time. Great music. 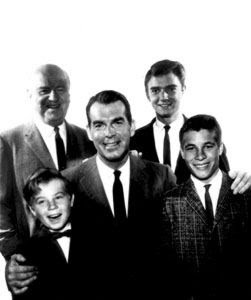 Created by Don Fedderson and Leave it to Beaver alumnus George Tibbles, My Three Sons was one of television's longest running and most influential domestic comedies. The program was conceived originally as a television vehicle for Fred MacMurray, (who owned 50% of the program), when Fedderson was approached by Chevrolet to develop a program that was "representative of America." During its twelve year run, the program averaged a respectable, but not spectacular 22.2 rating and a 35% share, and underwent enormous narrative and character changes. It is most significant for its development of a star-friendly shooting schedule and for its redefinition of the composition of the television family. Before he agreed to his contract, Fred MacMurray queried veteran television performer, Robert Young, about Young's workload. Upon Young's complaint about television's time-consuming schedule, MacMurray insisted on a unique shooting plan that was to be copied by other top actors and christened "the MacMurray Method." This so-called "writer's nightmare" stipulated that all of MacMurray's scenes were to be shot in 65 non-consecutive days. All other actors had to complete their fill-in shots while MacMurray was on vacation. Practically speaking, this meant the series had to stockpile at least half a season's scripts before the season ever began so that MacMurray's role could be shot during his limited work days. The repercussions of this schedule were enormous. Guest-stars often had to return nine months later to finish filming an episode; MacMurray's co-stars had their hair cut weekly so as to avoid any continuity discrepancies (MacMurray wore a toupee); and any unforeseen event (a sudden growth spurt, a guest-star's death) could cause catastrophe. Often times, the producers were forced to film MacMurray in scriptless episodes, and then construct a script around his very generalized monologues. Frequently, to avoid complication, the writers simply placed his character "out of town," so that there are an inordinate number of episodes in which Steve Douglas communicates to his family only by telephone. Despite the hardship on writers, directors and co-stars, the MacMurray method was adapted by a number of film stars (Jimmy Stewart, Henry Fonda) as a conditional requirement for their work in a television series. 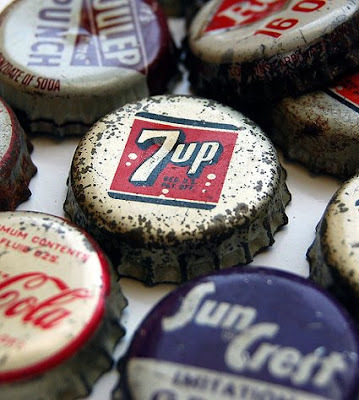 Vintage Bottle Caps...When they were Cool. Remember when Bottle Caps were cool looking. Today they are a plastic piece of crap. as you know they had heavy damage from the fire at Trackside. Can you tell me some general facts about the 2009 Decatur Arts Festival? How can I apply for the 2009 Decatur Arts Festival? What are the steps for applying to the festival? How do I make digital images of my work, and how do I prepare my images for uploading to ZAPP? 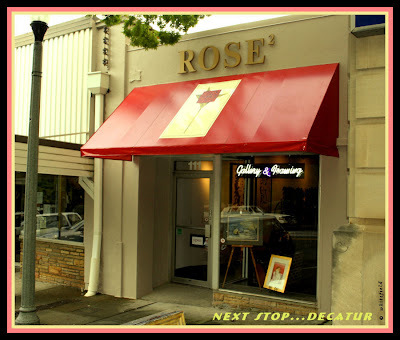 When will I know if I have been selected for the Decatur Arts Festival? 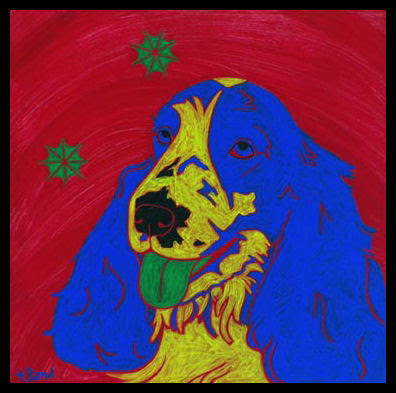 Why was I not selected for the 2009 Decatur Arts Festival? 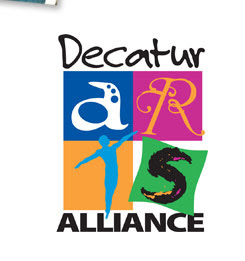 Is there a wait list for the 2009 Decatur Arts Festival? How much is the booth fee for the 2009 Decatur Arts Festival? I am a gallery artist. 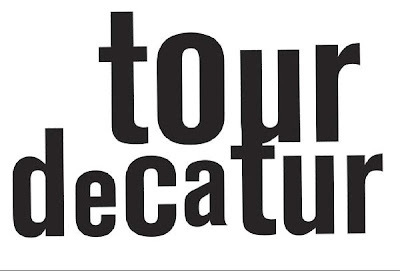 How can I participate in the 2009 Decatur Arts Festival? How can I learn more about the jury for the 2009 Decatur Arts Festival? Walkway to downtown Decatur for students or a kid like me taking a short cut to Decatur. I lived one block from Agnes Scott in fact it was almost my backyard. 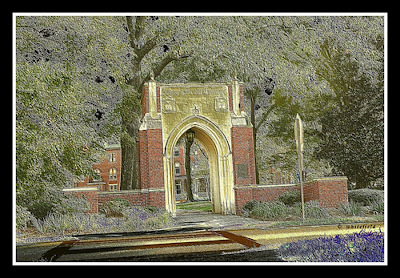 This is for you Mary who requested more photos of Agnes Scott back in the day. I will try and post more photos soon. 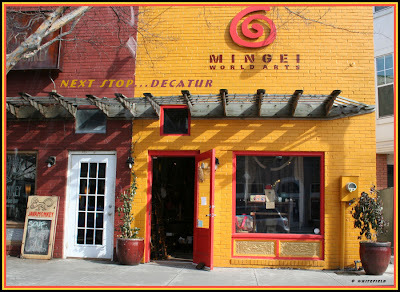 790 Ponce de Leon Ave.
Spring items begin arriving Friday, February 27, and will continue on through the end of March. For a limited time, you can get 10% off any new Spring item when you purchase any item on Winter Clearance which is already deeply discounted. 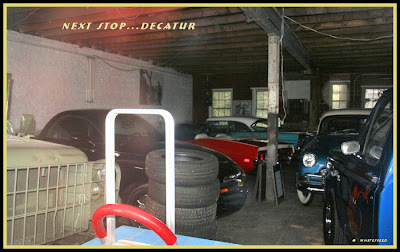 We have some terrific new products to offer Decatur. We are adding a line of summer footwear from Rafters, made from recycled materials. Please call or email if you have any questions about when something is coming in. Thank you for trying cell phone parking in Decatur. We are continuing to improve the functionality of the system and are pleased to announce that beginning this week you will be able to select the amount of time you wish to park. Just follow the new system prompts. You will be asked to push "1" for two hours , "2" for 1 1/2 hours, "3" for one hour, and "4" for one-half hour or you may select the actual number of minutes you wish to park (minimum 15), each followed by the # key. An additional new feature allows you to call the number again and add time to your current parking session remotely, up to the two hour limit. If you have not yet added funds to your account we encourage you to do so. Please log onto your account at www.goparknow.com If you forgot your username or passcode please call the cell parking telephone number 678-791-4116 press 0# and you will receive a text message containing the information. Your passcode is case sensitive. Alternatively you may call our help desk at 1-866-951-7275 and a customer service representative will assist you. 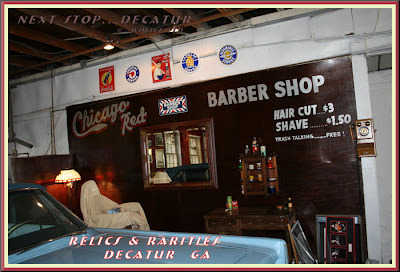 Greg Germani of Atlanta Time Machine sent me the link here. 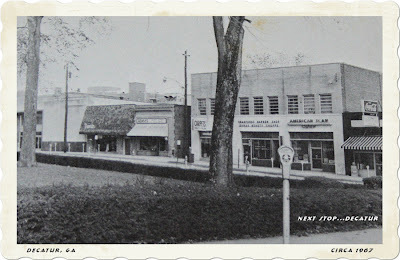 Greg does a great job on all of his Atlanta Time Machine photos. Thanks Greg for using one of my photos. Good job. Check out this myspace blog someone started. I love the Majestic for it's Americana and for its Poncey-Highlandness - but they gotta change their breakfast prices! I love the Majestic for the new polished metal and red restroom doors and fancy track jackets - but they gotta change their breakfast prices! I love the Majestic for the 24/7 ness and cleanliness and bright whiteness - but they gotta change their breakfast prices! I don't know what else to say... 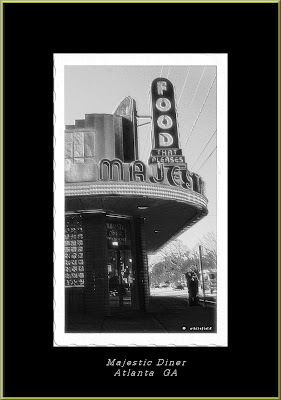 I love the Majestic - but they gotta change their breakfast prices! The Decatur Theatre in the art world. To see the new updates click here. 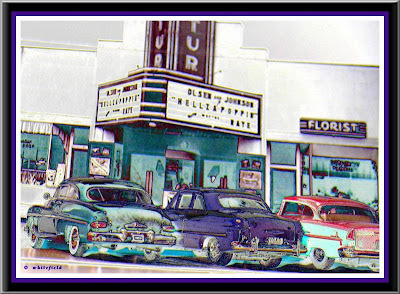 If anyone has a photo of the old Decatur Theatre I would love to add it to the site. Considered the 'best little frame shop in town,' last summer JD Isaacs expanded to a new downtown Decatur location on the Old Courthouse Square. The most exciting news though, is that it has given him the space for a gallery to feature prominent and upcoming artists and a classroom to teach painting in watercolor and drawing. It also allows him the opportunity to show his own paintings and drawings. I hope everyone goes by to say hello and look around. Congrats on the three large commissioned paintings for Parkers on Ponce, one of which will be hung tomorrow morning. JD Isaacs has a new website , check it out. That's the money you could be saving with Geico..
Hatcher, an art director for a local weekly newspaper, and Johnny Castellic (a.k.a. “Johnny Hollywood”) have launched a campaign to raise public awareness of what they insist is a growing crime problem in their area. They say that problem is being ignored by Atlanta Mayor Shirley Franklin and Atlanta Police Chief Richard Pennington. Pennington has said police data shows that while property crimes in some of Atlanta’s gentrified communities have increased, incidents of violent crime are down. 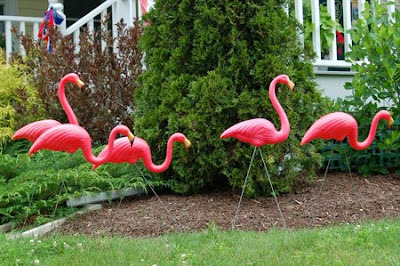 The pink plastic birds have shown up in front of restaurants along Flat Shoals Road and Glenwood Avenue and on the front lawns of nearby homes. Here is a slide show of photos then. Some have even changed since then. click here to see the changes before and after. DAVID ELLINGTON - After studying at the Berklee College of Music in Boston from 1980 - 1982, David Ellington moved to New Orleans in 1983 and quickly became a player in its extraordinary music scene. In 1988 he began a three-year stint as pianist/organist for legendary New Orleans guitarist, Walter “Wolfman” Washington, traveling the world and recording for Rounder Records. This led to another three years of study at the University of New Orleans under the tutelage of Ellis Marsalis, Steve Masakowski, Ed Petersen, and Harold Battiste, where his composition, “Armando” won the prestigious composer’s award in UNO’s “Svenson Composition Competition” in 1996. David’s work as a versatile sideman, versed in Funk, Jazz, R&B, and Latin styles, led to the formation of his own group “Chevere” and the release of “Baila Mi Ritmo,” a CD of Ellington originals. Chevere made its New Orleans Jazz and Heritage debut in 2000 and has been a standout at the Festival ever since, returning each year to excellent revues. Hurricane Katrina forced Ellington to abandon a busy musical career in New Orleans as bandleader, valued sideman, and church music director. David landed in Atlanta, near his parents and quickly became a first-call pianist/organist, in demand for many of Atlanta’s best groups and performers. He continues to develop his solid reputation in Atlanta, and has gained “roster” status with “Young Audiences of Atlanta - Woodfuff Arts Center.” David is leader of 'The David Ellington Organ Trio' as well as 'Trio Fino' here in Atlanta and sideman with several acts including singers Tommy Dean and Karin Williams and Atlanta's mainstay 8-piece band, 'The League of Decency'. Here’s your chance to create the Peachtree Road Race’s gold medal —well kind of. The Atlanta Journal Constitution’s Peachtree Road Race T-shirt design contest has begun. Representatives of the Atlanta Track Club, The Atlanta Journal-Constitution and local artists will judge t-shirt designs. Five finalists’ designs will be selected and published in The Atlanta Journal-Constitution. The public will select the winning design. The person who submits the winning design will receive $1,000 and have the design reproduced on the 2009 Peachtree Road Race T-shirt, distributed to runners at the race’s finish line. The four finalists who are not selected will each receive $100. NOTE: 2 seats opened up. Atlanta-based Aaron Rents Inc., a rent-to-own furniture chain, reported a $21.1 million profit for the fourth quarter, or 39 cents per diluted share, up from $15.5 million, or 28 cents per share, a year earlier. It had $404.9 million in revenues, up 11 percent from the year-ago quarter. For the full year, Aaron Rents had $90.2 million in profit, or $1.66 per share, up from $80.3 million, or $1.46, in 2007. The company updated its guidance, saying it now expects to earn $1.72 to $1.87 per diluted share in 2009, up two cents from its previous guidance. It also expects first quarter earnings of 49 cents to 54 cents per diluted share, excluding store or asset sales. Navo is a new church that meets in the Oakhurst community of Decatur. Picture the best music venue mixed with unabashed honesty. We’re about doing stuff instead of just talking about it. That’s why we’re called Navo - Hebrew for “we will go”. Back in the 1960's this was a Colonial Store which I went in often. More and more problems with Facebook lead to danger. Facebook knows your age, alma mater and favorite band. It’s seen your spring break photos and read the messages you sent to your friend. So, can it do anything it wants with that content? Legally, almost. But in practice, the rules that govern Facebook’s relationship with its users are abstract and subject to constant negotiation. Under both the old and new rules, members grant Facebook a license to use content “on or in connection with the Facebook Service or the promotion thereof.” But the revised agreement eliminates language saying this license would “automatically expire” if content were removed from the site. “They’re saying, ‘Once data gets in our database, we can do whatever we want with it,’” said Eric Goldman, associate professor and director of the High Tech Law Institute at the Santa Clara University School of Law. Facebook is like living in a glass house. More and more people are now learning the danger of Facebook. 2915 E. Ponce de Leon Ave. 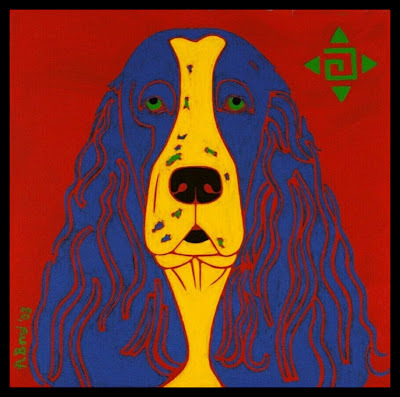 Check out Angela Bond Art. here. 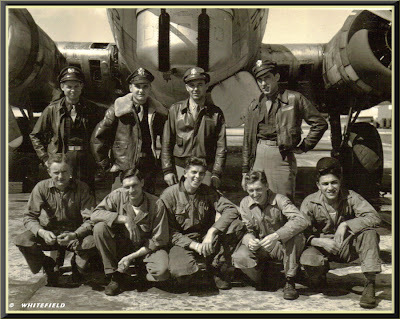 More than 12,000 B-17s were produced from 1935 to 1945; of those, 14 are still flying. 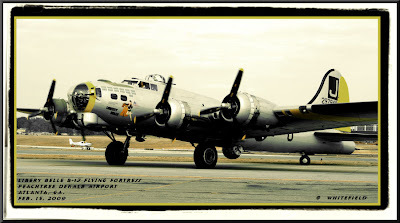 The planes also flew in Korea and Vietnam, but are most famous for the bombing runs by the 8th Air Force from England deep into Germany in 1944-‘45. This is his Flight Crew photo. He is standing far left. The photo above is just my vision of what the outside "might" look like, remember it's only my vision. Looking inside were a dozen or so old and/or classic cars. 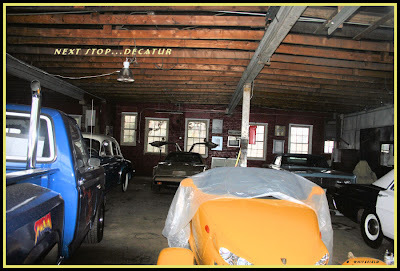 A vintage Atlanta Police Car, Plymouth-Prowler,and what looks like a (Delorean -Back to the Future) are just a few of what I saw. I am wondering what brand ice cream it will be ? Could it be Jakes Ice Cream. I don't know for sure but I think that's a good guess. SATURDAY, FEBRUARY 14th - VALENTINE'S DAY! For 2 decades JOHN GORKA has been at the forefront of the new-folk movement - perhaps the most respected/admirer performing songwriter by his peers. Simply amazing songs, hummable melodies with serious themes, delivered with a warm/mellow baritone and an engaging/intimate performing style. He's touring in support of his latest CD entitled "Writing In The Margins", which features harmony vocals by Nanci Griffith. PETER BRADLEY ADAMS, formerly of the duo eastmountainsouth, has the kind of songs that you can listen to over and over. He is a classically trained pianist and has a hushed, mellow voice. His music has been featured in over 30 films and TV shows. His debut solo CD, "Gather Up," received critical acclaim, and he is here tonight performing songs from his second solo release, "leavetaking." Atlanta-area Steak ‘n Shakes are rolling back the clock on prices to celebrate the chain’s 75th anniversary and give customers a break in a tough economy. 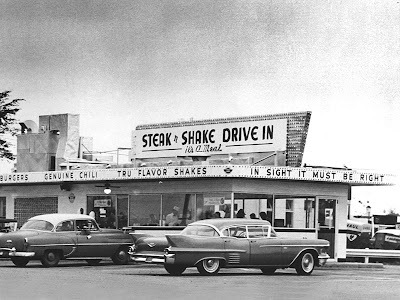 On Friday, between 8 a.m. and 11 a.m., Atlanta-area outlets will sell the single Steakburger for 15 cents, the cost in 1934. After the initial offer, the single Steakburgers will be 75 cents all day, every day through March 29. Also on Friday, the first 75 guests at each of the 20 Atlanta-area locations also will get a VIP card providing them a free combo meal each month for a year. While a nice gesture by Steak ‘n Shake, the offer likely won’t impress diehard Chick-fil-A fans. For every new store it opens, Atlanta-based Chick-fil-A provides the first 100 guests enough coupons to get a free meal each week for a year. I’d like to extend a gigantic, all-encompassing gratitude to everyone-readers, friends, publicists, publishes, authors, journalists-for making my years here exciting, challenging, and enjoyable. My last day at Wordsmiths will be Friday, Feb 21th. As of that date, I will neither check nor respond from this email address. For all personal or professional communications and/or opportunities, please contact me at RussCommunications@gmail.com. Effective Feb 22, 2009, I will no longer be with Wordsmiths Books. To reach me for publicity/marketing/event opportunties, email RussCommunications@gmail.com For inquiries regarding Wordsmiths, please contact owner/operator Zach Steele at zach@wordsmithsbooks.com. 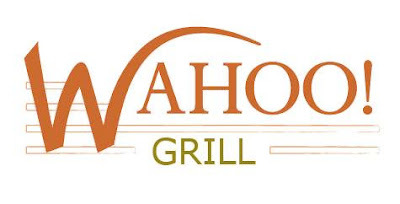 Since we opened our doors, Wahoo Grill has been serving locally-roasted Lakehouse Coffee right to your table. We've now decided to take our coffee one step closer to your kitchen table. Wahoo Grill and Lakehouse Coffee have teamed up to create a package that you can now purchase and bring home as you leave our restaurant. 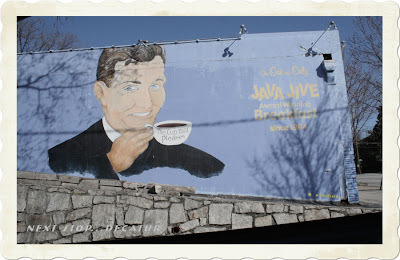 Lakehouse Coffee has been roasting Mountain Blend (our blend of choice) for the last 15 years. Mountain Blend consists of the perfect combination of Indonesian coffee with the finest Central American beans, and then, we top these off with a touch of French Roast. You will enjoy a comfortably rich taste that allows you to pick up on the full-bodied, sweetness; along with a snappy, tingling sensation on the back end of this coffee. Enjoy - $10 per lb. Frank Lowrie’s Atlanta is about 1,700 square feet, full of trees and buildings forgotten by the real Atlanta, the one he lives in. Lowrie hand-built his city, with long-gone landmarks from history and his childhood, with trains still running everywhere. The miniature city and trains operated for years at Underground Atlanta. 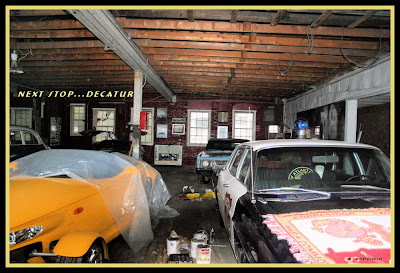 These days, it’s packed up in boxes that fill Lowrie’s basement and two-car garage in southwest Atlanta. Lowrie doesn’t want it to stay that way. 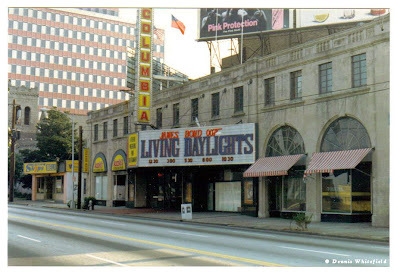 His “Good Old Days Atlanta” exhibit was a class field trip favorite and nostalgia-generating machine at Underground in the late 1980s and early 1990s, and again from 1999 to 2003. Lowrie began making models as a hobby in 1974, and was known to wear his conductor hat and overalls at Underground to explain the cardboard and plaster structures. He’s 71 now, still living with his wife in the same home where he began piecing models together as an adult. 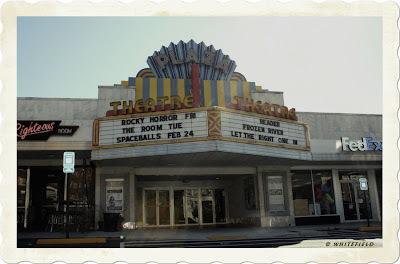 He doesn’t add much to his Atlanta anymore, except for a few key pieces he’d like to perfect — the Fox Theatre, for one. His goal now is to find a place for the city to live, something even bigger than his old space at Underground. “He knows that we’re interested. It’s a great concept for us to have here, being so close to the zero-mile marker,” Copeland said, referring to the spot where the Western and Atlantic Railroad ended. 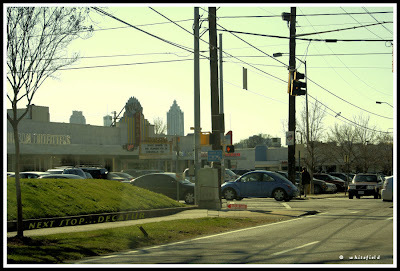 The area became the settlement Terminus, the town of Marthasville and then the city of Atlanta. Underground still gets phone calls asking about the old exhibitions, Copeland said. She, too, remembers the last time Lowrie’s city went on display. After 30-some years of rebuilding Atlanta, Lowrie admits it’s nice to have some time off. He’s gotten into Japanese gardening, adding waterfalls, bridges and trees to his back yard. But if ever he found a space large enough space to hold the mini-city permanently, he said he’d go back to modeling. Chain expands its romantic promotion to 32 restaurants, including 10 in metro Atlanta. Jennifer Payne was skeptical last year when she heard that her bosses at Waffle House wanted to offer candlelit Valentine’s Day dinners at the unit she managed in northern Fulton County. Cheap or not, the couples came — some of them in dresses, coats and ties — and so did TV news crews. The promotion proved so successful that Waffle House is expanding it this year to 32 restaurants, including 10 in metro Atlanta. Pink signs at participating locations invite customers to “get scattered, smothered and covered” in romance. Reservations are encouraged. 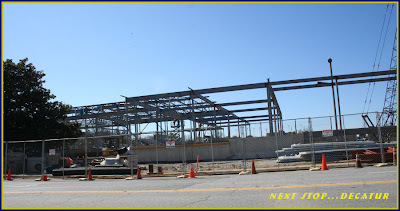 The idea originated with Calvin Stokesbary, a division manager for the Norcross-based chain. The trick was how to make a sunny-side-up diner seem more cozy and intimate for the big evening. Raised in a bare-bones bohemian home, PIETA BROWN is the daughter of two-time Grammy nominee Greg Brown. In her early 20s, she garnered the attention of Lucinda Williams' guitarist and bandleader Bo Ramsey. He subsequently co-produced "In The Cool" in 2005 - a release that was named one of the year's best by Amazon.com and a number of newspapers across America. It also broke the Top 20 of the Americana Music Association radio chart and the Top 30 on the AAA radio chart. The BBC quotes her blends folk, blues, country and rock music as "Self-styled poetess, folk goddess and country waif, Pieta's music resonates with a seductive simplicity and lyrical grace." Marshall Davis, co-owner of Steinbecks’s, drinks the first glass of beer at Leon's Full Service that he paid $2,650 to benefit a fund set up for employees of Trackside Tavern and 5th Earl Market employees. Marshall Davis took his time before choosing a pint of Terrapin India Brown Ale — the maiden pint sold at Leon’s Full Service on its first day of operation in downtown Decatur. But for $2,650, he had the right to be picky. Standing on a chair, he took a lusty swig and announced to the crowd, “It’s wonderful to have a community like this.” The beer preceded him off the chair and was passed from mouth to mouth like a communion chalice. Davis’ business partners, Marc and Shelby Brennan, bid on eBay for the privilege of buying the first pint for a good cause: All proceeds go to the twin funds set up for the employees of Trackside Tavern and 5th Earl Market, two adjacent Decatur businesses that were destroyed by a fire in January. 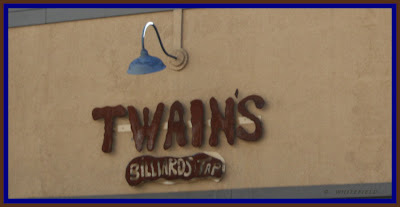 The three business partners own Steinbeck’s restaurant in Decatur’s Oakhurst neighborhood; the Brennans also own the nearby Universal Joint and made the donation from both restaurants. 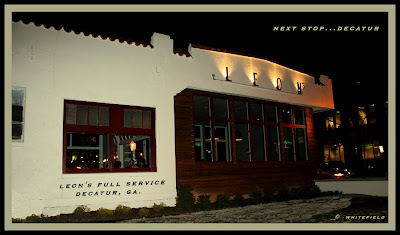 In addition to the pint of beer, the winners also get a specialty cocktail named for them on the drinks menu at Leon’s, a new gastropub from the Brick Store Pub owners. Marc Brennan joined the bidding for the beer after seeing an article in the Atlanta Journal-Constitution last Friday. “It seemed a good thing to do; Decatur’s a small community.” Bidding was fierce up until the end between the Brennans and Dr. Will Draper of Village Vets of Decatur. “He used to be my vet, until he made me pay $2,650 for a beer!” Marc Brennan joked. Draper, somewhat less ceremoniously, got the second pint. Many local businesses have rallied to help the employees of the two establishments since the fire. A recent soup cook-off at the Corner Pub raised over $6,000. 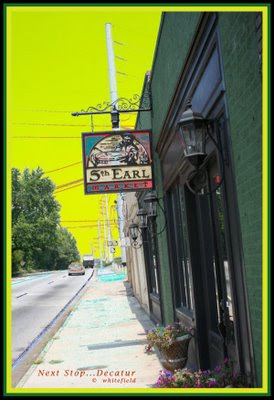 The Brennans are also partners in the Standard Food and Spirits — the Grant Park tavern where bartender John Henderson was shot and killed by armed intruders in early January. “After everything that happened, this feels really good,” said Marc Brennan. The Terrapin Beer Co’s India Brown Ale is the beer Marshall Davis selected. Jennifer Nettles of Sugarland reacts after hearing she won. What is still on the way from Thailand? Fine cotton scarves and shawls and some fabulous scroll paintings are flying here now, and may have arrived by the time you read this. Carved wooden monk figures from Burma, picture frames from recycled teak, mulberry paper lanterns, vintage Burmese puppets, trick wallets made of Thai funny papers, spirit houses, and more! The popular Mary Janes are back instock, as well as a new style.. These gorgeous soaps look like river stones but are rich, lovely treats for the bath! Made of local fruits, oils and herbs near Kandahar by a cooperative founded by former NPR reporter, Sarah Chayes! We'd gotten low on some of our Thai amulets, but they have been replenished! silver Ann is Back with Wonderful Finds from Thailand! Ann has just returned from Thailand with beautiful new silk scarves in a variety of rich colors and styles and a big bag of hilltribe silver. Also, her finds include an assortment of bags including unique bags made of recycled Hmong textiles! Shop soon for the best selection! Nan manipulates a precious metal "clay" (PMC) which allows her to make textural impressions on these elegant pieces. Once fired the PMC becomes a hard fine (99.9% pure) silver work of art that will never tarnish. 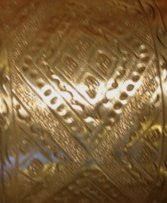 24K gold can then be applied to pure silver using an ancient Korean process called Keurn Boo. 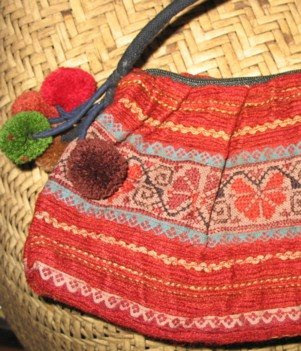 Some of the most exciting treasures being unpacked from Thailand are the bags made of recycled Hmong textiles. From coin purses to totes, there is something for everyone. But supplies are limited, so shop soon! In order to make room for these new bags, we are marking down some other bags. Remember our National Geographic bags? Carpet bags from Teotitlan del Valle? Hand-woven bags from Chiapas? Net bags from Argentina? Those are all now 50% off! by Pascal Khoo Thwe on March 10th and on April 14 When a Crocodile Eats the Sun, by Peter Goodwin will be the books for discussion. Every Girls Break-Up Song "I Will Survive"